Team Sluttery is divided on the issue of camping. For Sara, it's a no-go, while Sian quite enjoys spending nights in tarpaulin. I regard it as a sometimes necessary evil. And, like all evils, it's something that can be made better with improved shopping options. 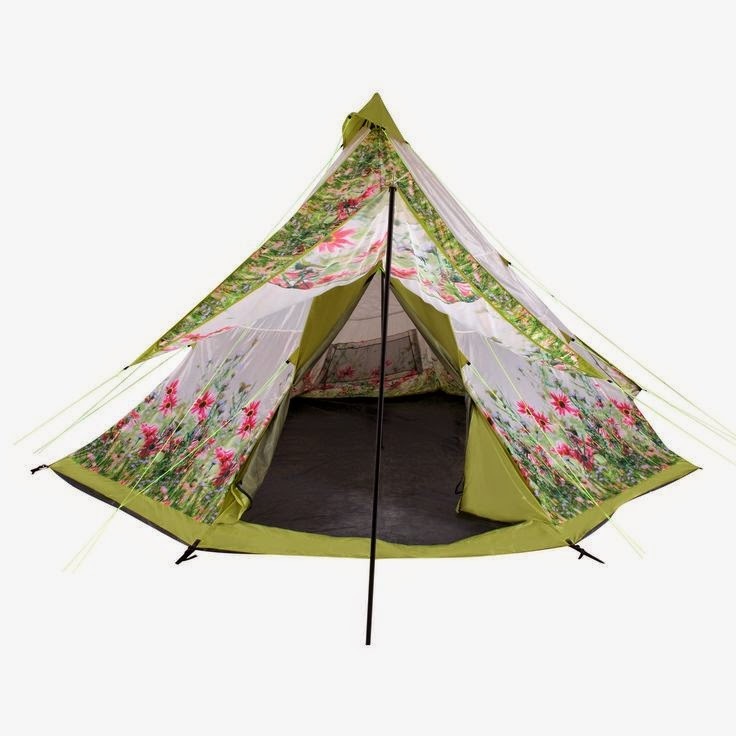 Yep, I'm superficial but a pretty tent is going to increase the likelihood of me camping tent-fold. Most varied of the options come via Field Candy who we've featured before: their crazy designs are also available through shops including Urban Outfitters. 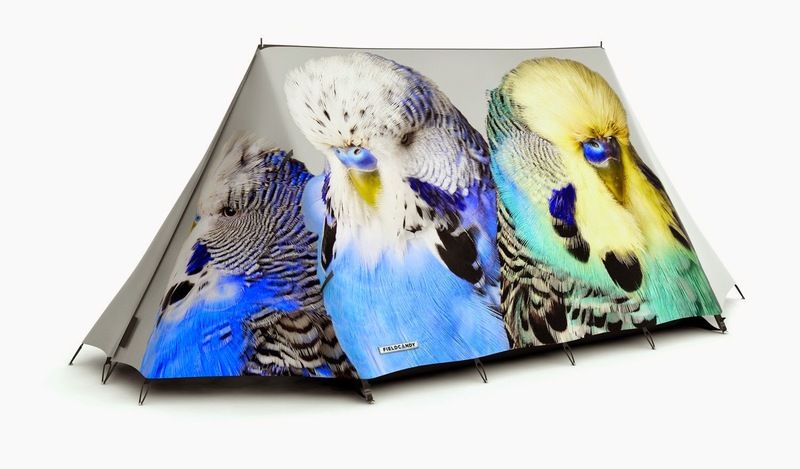 But it's also worth checking out their website for limited edition designs, such as the fine plumage on this Birds of a Feather tent. It's designed by Philip Gatwood and is £495. 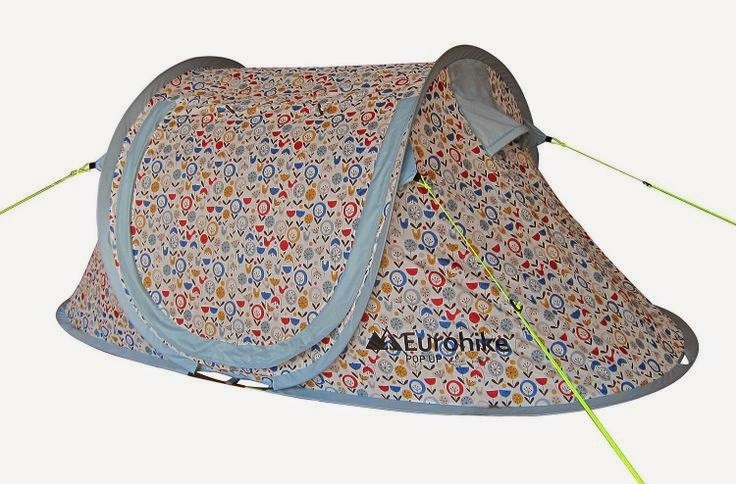 For a much cheaper, but an equally well-feathered nest, check out this retro birdy pop-up tent. It's reduced to only £30 in the Millets sale. Blacks also have a bit of a bargain in stock at the moment. 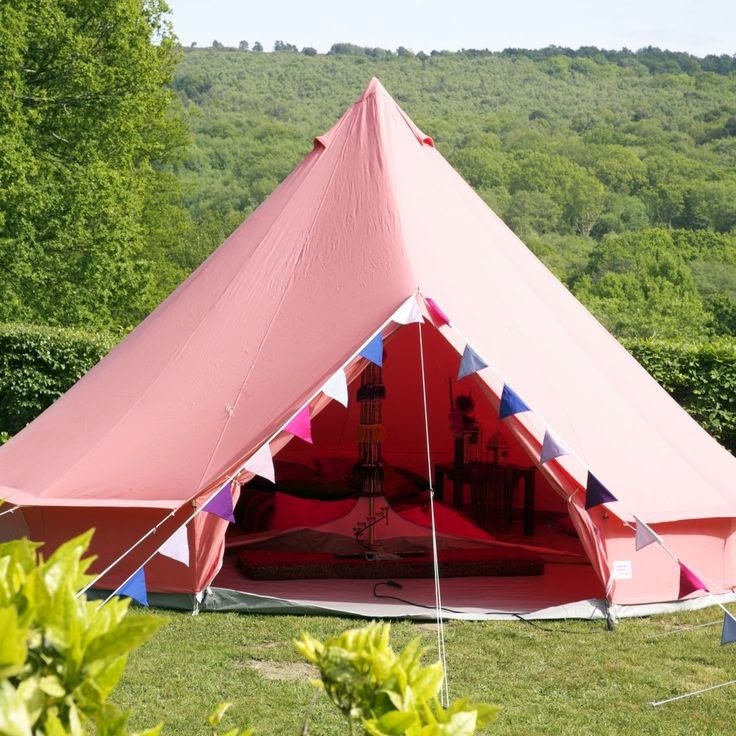 This pretty teepee meadow tent, sleeps up to ten of friends (pick your friends carefully in such close circumstances), and has been reduced from £300 to £99. For anyone who can't bear being without their phones, Bang Bang are the tent makers for you. 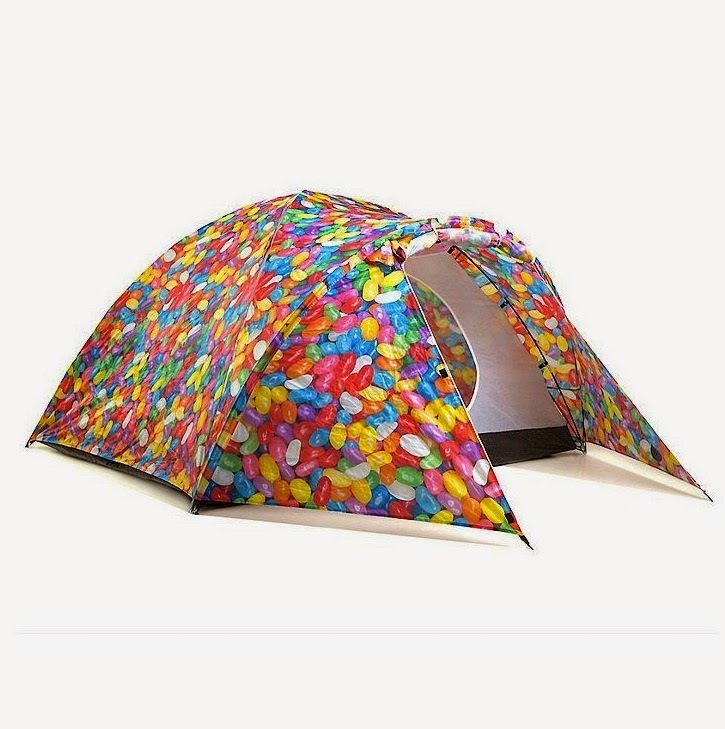 They come in a colourful range of patterns - I especially love these jelly beans - and include a solar panel and storage bank so you can charge those cameras, phones, speakers and everything else you need to enjoy the great outdoors. It's £200 from Urban Outfitters. If you have a hankering to do camping on a grander scale, check out the bell tents available from Boutique Camping. Their website notes that this '4m tent is perfect for couples but can sleep up to 5/6 people, luxuriating in an open-plan bedroom'. While I wait to be convinced by their use of the word 'luxuriating', it's undeniably nice to have a tent you can stand up in. Such luxury costs £459. From the potentially sublime to the ridiculous. 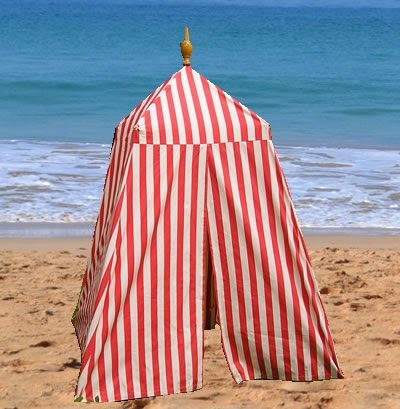 This is the Empire beach tent, enabling you to make a shoreside change of clothes with dignity. I'm sure the humiliation of carrying this onto the beach almost beats the humiliation of accidently flashing your breasts at a grandad while changing after a dip. Or you could set this up in your garden for snoozy summers in the shade. Pick one up for £295 from Deckchair Stripes. 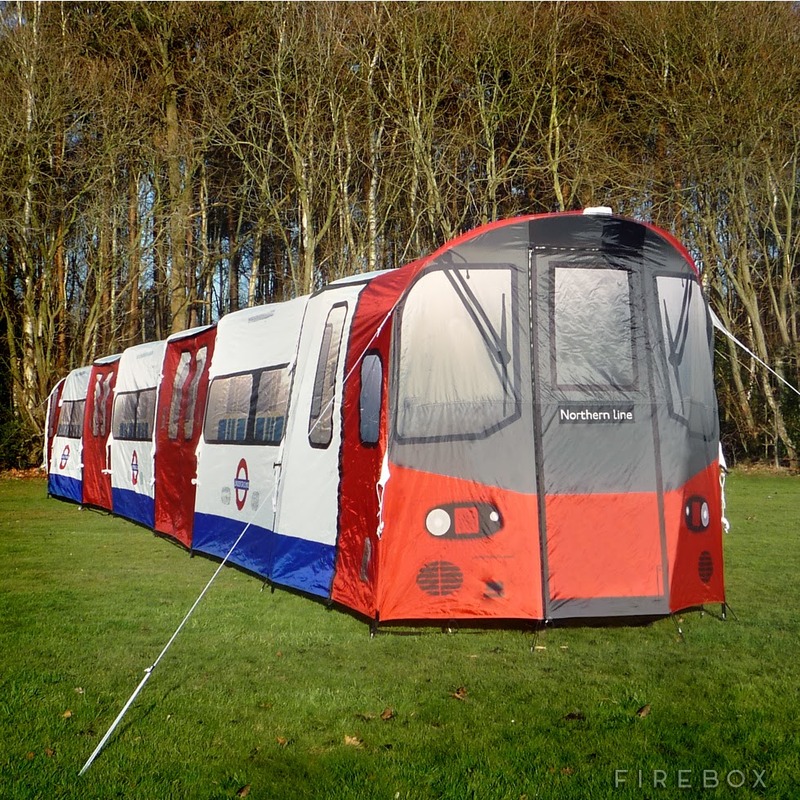 We've already shown you the genius that is the camper van tent (now available in new colours), but for transportation tent delights it's got to be Firebox's London Underground Tent, Escape from being crammed in on the tube each morning by being crammed in this tent with 19 of your mates instead. It's something of an attention grabber though, as this Mirror article points out. It's also £1999. 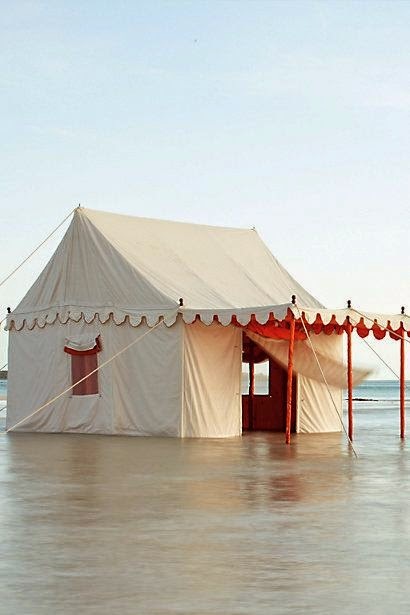 But, for my ultimate tent fantasy, it's got to be Anthropologie's Altair tent. Priced at an equally fantastical £5998, I'd expect it to come complete with this beach setting too. But for convincing me that camping could actually be fun, it's definitely the one.